David K. Ngaruiya is associate professor at the International Leadership University in Nairobi, Kenya. He holds a PhD in Intercultural Studies from Trinity Evangelical Divinity School. He is also the Deputy Vice Chancellor in Research, Extension and Development, as well as the Chair of the Africa Society of Evangelical Theology (2015-2016). He has published journal and book articles and served as coeditor and contributor to the book “Communities of Faith in Africa and African Diaspora.” His research interests include leadership, contextualization, the Church in Africa, and the use of digital resources in education. He has supervised graduate research at various levels. 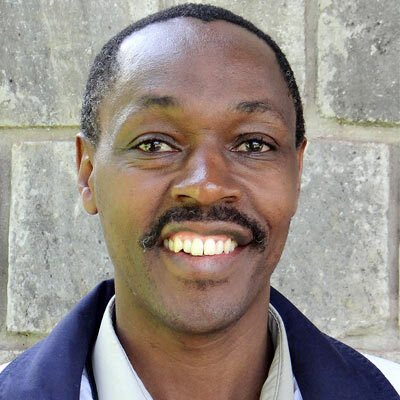 David Ngaruiya provided leadership in all stages of research design, in field-testing our instruments, and in mobilizing and training the larger Kenyan team of researchers. Together with Michael Bowen, he co-managed the Kenya-based project. Together with Michael Bowen and Robert Priest he traveled to Bangui, CAR to train the team of faculty and students on how to conduct the questionnaire research. He carried out interviews and prepared ten-page reports on key Kenyan leaders and organizations. He contributed a chapter “Characteristics of Influential African Christian Leaders” to our book. See Findings page for professional credentials and CV.